It’s 1975 and I’m spending the day with Aunt Annie in her little council flat. She’s very old (actually, she’s 64 but I am seven) but good fun. She shows me how to knit dolls’ clothes and lets me drink tea even though I am a child. We walk to Stewart’s supermarket on the Belmont Road, and Aunt Annie buys Cadbury’s mini chocolate rolls and Kimberley biscuits. I’m looking forward to getting home because I know she’ll open them and put the kettle on. We share a sweet tooth, and a love of tea, cats and reading. She favours Mills and Boon, but hides them behind a cushion when the minster or my granda come to call. Whether this is because they would consider them racy, or whether she doesn’t want to be seen as sadly yearning for romance, I am too young to ponder. I just think it’s delicious fun and a bit like me reading under the bedclothes. 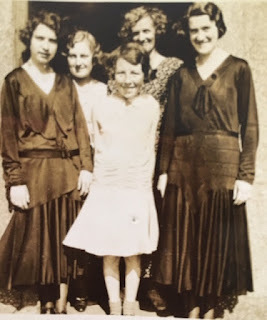 On the way back up the Belmont Road road we bump into an acquaintance – let us call her Betty – and I settle myself in for a long wait, because Aunt Annie likes to chat and I know not to interrupt. Unlike my grandparents, Aunt Annie does not dote on me, though she likes me well enough. She doesn’t know that she is about to give me one of the most valuable lessons of my whole life. ‘Oh,’ she says. ‘You’re good to yourself.’ Clearly she does not approve. ‘Indeed and I am,’ says Aunt Annie. ‘And if I’m not, who will be?’ She is not apologetic. She makes no excuse. She likes what she likes. I am seven and I will never forget. Aunt Annie is a spinster. I know what that means – a woman who has never had a husband – but I have no idea WHY. I am a tactless and inquisitive child but some delicacy suggests that this is something not to ask. The word spinster is redolent of disappointment, of chances lost and time going by. Later I study women’s history and realise that sometimes it is more sinister than that: that single women have often been the object of suspicion and derision. Aunt Annie is short and round with a button nose and soft white hair. In old photos she looks at least as pretty as her married sister and chums, so I can’t put her spinsterhood down to lack of physical charm. When I’m older and learn about the First World War and the generation of women whose sweethearts were lost, I think, Aha! Aunt Annie! But as she was born in 1911, that’s nonsense. In fact it would be more likely that she could lose a sweetheart in the Second World War. But as far as I knew that wasn’t the case. By then she was housekeeping for her brother John, in the terraced house they had grown up in in East Belfast. Her parents both died young, her siblings were married or emigrated or dead. What else would she have done? Only once, in her eighties, she told me that she had always wanted to emigrate to Australia but knew her duty was to stay with brother John. When Uncle John died in 1960, Annie would have been 49, a year younger than I am now. I don’t know if she felt free: she adored him so she’s much more likely to have felt bereft. She didn’t go to Australia, but she went out and got a job as a school cook and took to reading Mills and Boon. She was busy in the church and had lots of friends. When soldiers were posted to her street in 1970 she made them cups of tea. She moved herself and the solid Edwardian furniture she’d inherited into a tiny flat two miles away when the troubles came too close to her door. Her teapot, like mine today, rarely got the chance to cool down except overnight. You’re just like your Aunt Annie, my Gran used to say about my fondness for tea. 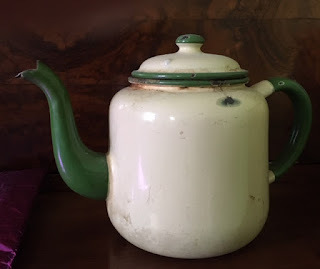 I still have her teapot though the enamel is too worn inside for me to use. Aunt Annie died in her nineties, six weeks after her sister, my gran, over forty years after her brother. Now I too am fifty and unmarried. Sometimes I call myself a spinster and people say, Oh don’t! It sounds awful. So pathetic. And I think of my spinster aunt, and her string bag full of chocolate mini-rolls and the lesson she taught me that day in 1975 – that of being good to yourself. Of self-worth and independence. And I’m proud to be a spinster like her, and I remember her today and every time I treat myself well. I am so much with you on this, Sheena. Few phrases annoy me as much as, "Don't take your maiden aunt to see this!" and all its variations -- the implication being that a spinster, a virgin, must be completely ignorant of reality and rather silly. Among my acquaintance is a deeply religious woman who never married - and who moved to Belfast for her job in nursing during the Troubles. She worked in every department of the hospital and volunteered to be in one of the first UK fast response teams who went out to deal with car accidents, fires, bombs and knee-cappings. -- She became a ward sister and used to put doctors right. She finished her career as a Teaching Sister. Nursing Sister, that is, though her family feel that she might as well have been a nun. -- She has a gentle manner and is softly spoken and could be taken for a stereotypical 'maiden aunt' -- but there is absolutely nothing daffy or silly about her. I'd like to see how some of those who talk dismissively of spinsters and maiden aunts would handle some of the situations she's dealt with. This is beautiful. Why should the word 'bachelor' be regarded so less judgemental and constraining than 'spinster'? My mother was the main breadwinner and keeper of the house until her late 30's when my aunt then separated came back home for support, My mum then finally married my Dad after 21 years of engagement! I realise now she would not have moved out without one of the other siblings moving in to care for her mum (my Gran) and others sending money for the housekeeping! My Aunt then became the housekeeper until after my Gran died in her late 80's. Always thought that my mum had accepted she would not marry until she could get away from home! our own age has no real idea about looking after the older generation! 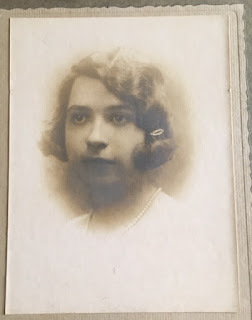 My mum had a friend who married young and lost her husband after only a year to ill health, but if you dared to imply she was a spinster she got very cross, she was a widow! but looked after her dad until his death in his late 90's when she was in her 60's. What a lovely, lovely post - perfect reading with my morning cuppa - thank you!